Purpose: Find a series of lower and higher bounds for the confidence interval around a sample statistic. # What about including the ninety percent confidence intervals? # How about an interval for each percentile? 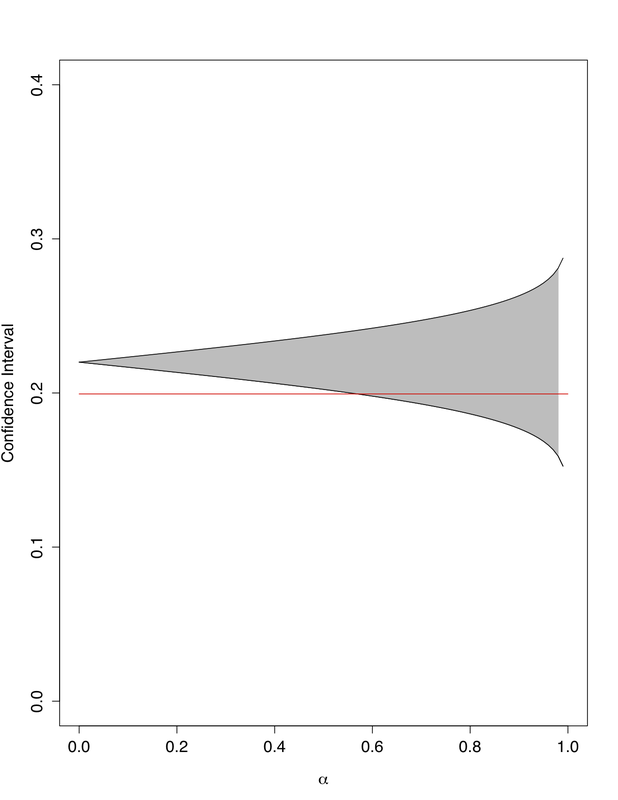 The size of the confidence level (the grey area) increases as we seek more confidence about our estimate. Since we set the seed to 126, your random sample should be exactly the same as mine, which allows for direct comparison of results for the example. # How does this compare to the true population proportion? We can see that we have included the true population proportion by the time our confidence level grows to include 60 percent of the distribution of our sample proportion. Feedback is welcome in the comments, especially links to scripts that modify this function.